I remember exactly where I was the day "it" happened -- the first time someone referred to me as a "special needs mom." I had just walked over to a group of women who were chatting in a semi-circle, when one of them casually introduced me to the others. "This is Ali," she said, "she's a special needs mom." Maybe it was the easy way her words seemed to float out onto the air around me, or maybe it was the way in which her simple phrase seemed to fill every empty space in that semi-circle. Maybe it was the lack of reaction from the others, or maybe it was the simple fact that hearing those words connected with my name-- for the first time-- was something I had not prepared myself for. An uneasy feeling settled in my stomach. I never had envisioned that parenting a child with special needs would define me in the minds of others. 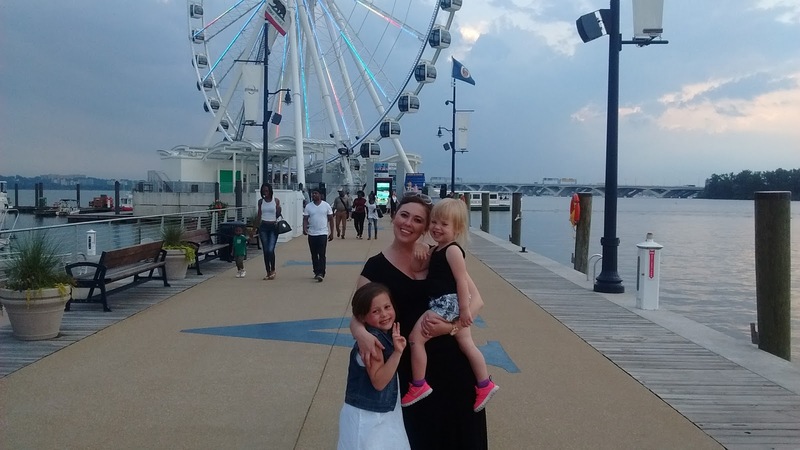 There was a lot more to me than being a "special needs mom." For example, I'm an Aquarius, I like Thai food, I enjoy shopping for sunglasses, I can't catch a ball to save my life, I hate the way suede feels and I love a good Show-tune. I walked away from that experience confused. I wanted to hate what she said, and yet, another part of me desperately clung to her words. As much as I detested the phrase "special needs mom," I surprisingly found some comfort in it. For the first time since my daughter was born with hypotonia, I almost felt a sense of belonging. Maybe I had finally found people who could understand me -- people who knew how real the struggle is of shopping for shoes that fit over braces, people who shared my frustrations about Neurology appointment wait times, people who could celebrate with me the inchstones in our lives. Maybe I had finally found my "village." Slowly, I became accustomed to the introduction, to the conversation, to the title-- to being a "special needs mom." But that all changed the day a woman insinuated that I didn't belong in the special needs community. "Well, your kid has some struggles," she stated, "but all kids do. At least your kid walks and talks. She doesn't really have special needs," the woman said to me. I did not know if her words were meant to be encouraging or exclusionary. My mind raced -- almost as fast as my heart -- but all words escaped me. Despite her hypotonia, my daughter functions well in many environments. But her hypotonia is still there. It is hidden deep inside her muscles -- causing her to struggle to walk up and down the steps or to keep up with her peers. It is the reason that she was delayed in all of her gross motor milestones. It is why her fine motor skills are still a year behind her actual age. Just because her hypotonia isn't always readily visible to the untrained eye, it doesn't mean her hypotonia isn't there. Or does it to some people? Does the invisibility of her disability mean we don't belong? Does the fact her disability is mild in comparison to some children mean to others that she does not have special needs? I pondered these questions and many more, and I came to one conclusion: maybe I really don't belong in just one specific mom circle. A mom of a child without a diagnosis but with delays. A mom with many worries and with little answers. A mom who feared her child may never walk, but who now chases her child in the backyard, through the grocery store and around the house -- especially at bedtime. A mom who spends her days at the park play ground and her evenings at physical therapy sessions. A mom of a child who appears typical to some and anything but typical to others. I exist in a sort of limbo -- between two worlds, both of which meet my needs and yet, could never really understand what I experience. I am a mom in the middle, and I know that somewhere out there, there are other moms like me. Moms who are searching for their place in the murky waters that exist between the typically developing world and the special needs community. Moms who are trying to figure out just where they fit in. To other moms in the middle, on days when you feel lost, when you think no one really understands what you are experiencing, when you are left questioning where exactly you belong, please know this: you are not alone. I will always have a spot right by me for you -- right in the middle, and everyone is welcome there.